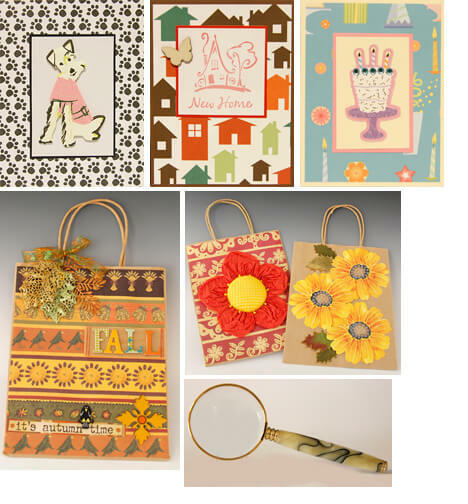 Elaine makes greeting cards and gift bags. 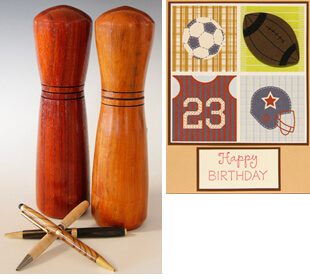 She says, “I started making greeting cards about four years ago, just for my personal use. Then, when so many people told me how much they liked the cards, I decided to make them for the Gift Shop. “When I work in the shop, people tell me how happy their friends and family are to receive a handmade card. It’s a wonderful way to contribute to our community, meet new people—and learn more about what folks want and like. “Talking with customers, I discovered there’s a need for special types of cards. A lot of people want cards with dogs, cats and age-specific messages. These are hard to find in regular card shops, but we have them here in our Gift Shop!